If you are looking for a great looking fire pit to keep you warm in the fall and winter, then the Orion Fire Pit Set is the perfect choice. 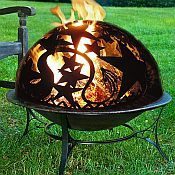 This fire pit features a 34" steel fire pit and the unique fire dome has a design of Orions Belt with stars. 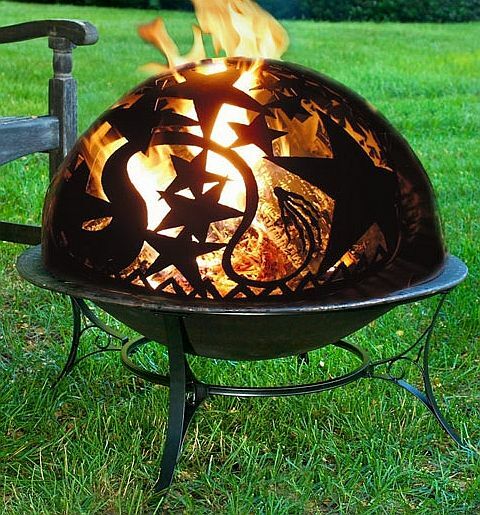 The fire pit comes complete with a one piece dome spark screen with high heat paint and a wood grate. The complete set comes with Dome, Basin, Stand and Dome Lifting Rod.